Next month, A-Trak kicks off a busy spring with a tour that winds through major cities and festivals, followed by the release of two DJ mix compilations. The first mix, Infinity +1, is set for April 16 on Thrive Records. 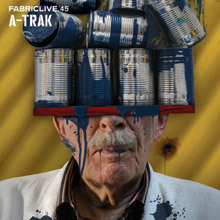 After that comes Fabriclive.45, a contribution to the famed Fabric mix series that drops May 5 in the States (and April 13 everywhere else). Unlike 2007’s Dirty South Dance, which mostly stuck to Southern crunk and club rap, both mixes explore various types of electronic music, from house and techno to dance-rock and Baltimore club. Before the release of those mixes, A-Trak will embark on his usual spring club tour, and hit up the WMC and SXSW conferences. 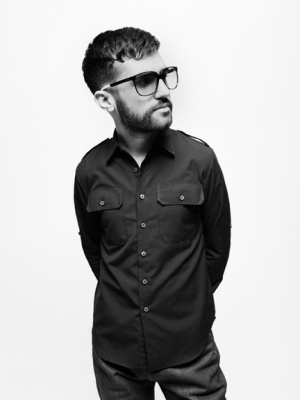 It all started very early, and developed very quickly, for A-Trak. As a young teenager in Montreal, he would scratch on one turntable for his brother (of Chromeo) Dave’s high school band. He begun practising, “with the discipline of a monk”, and after winning the Canadian, and later World, DMCs found himself an honorary member of Q-Bert’s legendary Skratch Piklz crew. He soon hooked up with DJ Craze and joined another famous scratch troupe, The Allies, and spent half a decade touring as hip hop’s hottest turntablist crew. Five years ago, after a chance meeting with Kanye West at a London in-store, A-Trak performed his first gig with the superstar, without a rehearsal, in front of 12,000 people – and from then on did every show with him for four years. 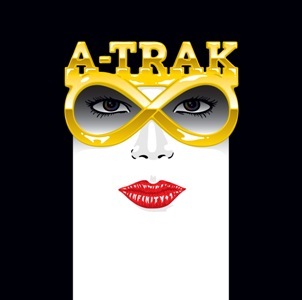 Three years ago, after meeting the rising Chicagoan rapper Kid Sister, A-Trak began dabbling his way into production, which – also by way of happenstance – led to the beginnings of a record label. Ironically named Fool’s Gold, considering how many prosperous treasures it’s unearthed, the label has gone on to become one of the most sought-after imprints on the underground radar: a cross-over idol that’s wildly and unpretentiously united the worlds of club music and hip hop. A-Trak photo by Angela Boatwright. This entry was posted in News and tagged A-Trak, Fabric, Thrive Records. Bookmark the permalink.